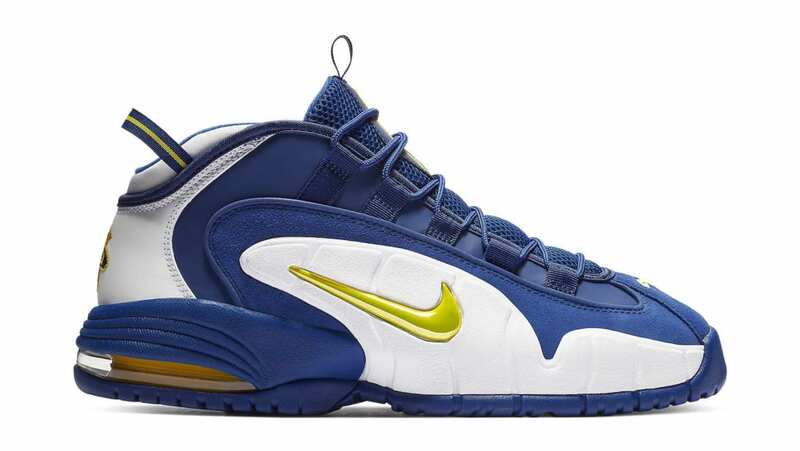 Nike Nike Air Max Penny 1 "Warriors"
Inspired by Penny Hardaway's original Draft Day team, the "Warriors" Nike Air Max Penny 1 is styled in the colors of the Golden State Warriors, with a #3 logo printed on the insoles as a nod to Hardaway's draft position. Release date is December 2018 at a retail price of $160. News Nike Air Max Penny 1 "Warriors"